We’ve all heard of the ancient Roman emperor who made his senator a horse, or the one who “fiddled while Rome burned.” But when it comes to the nuttiness of some of Rome’s emperors, that’s the least of it. Truth-o-meter (0=completely false, 10=definitely true): 6. Suetonius loved scandals, but he’s a more believable source than other historians, like Tacitus, and he’s telling us rumors that were actually very popular in Tiberius’ time. While Tiberius may not have been quite as depraved as Suetonius makes him out to be, it’s safe to say you wouldn’t have sent your son to go hang out with Uncle Tiberius for the summer. Where to find out more: Few bits of classical history are juicier than Suetonius’ Life of Tiberius (in his Lives of the Caesars), which goes into way more graphic detail than we’ve written! For those who are really fascinated, the first six books of Tacitus’ Annals are dedicated to Tiberius’ reign, although modern historians are a bit more skeptical of his accounts. 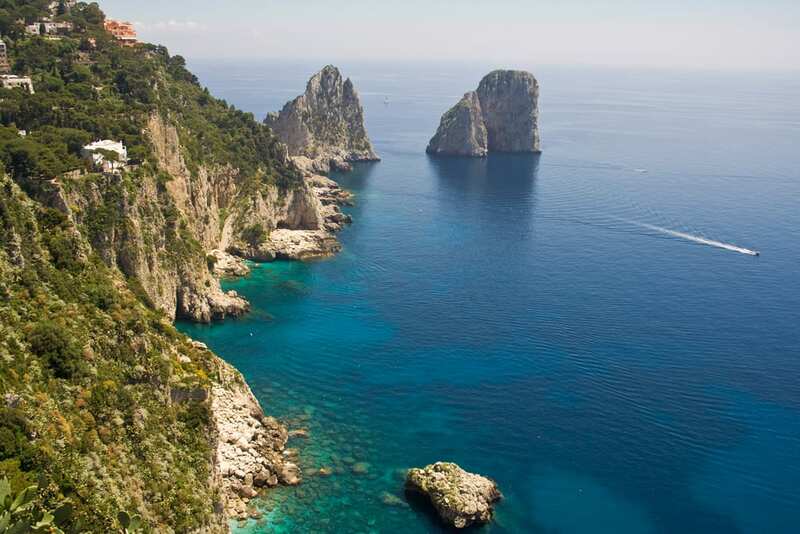 In Italy, you can get closer to Tiberius (if you dare!) at the Palatine Hill, which still has the ruins of his palace, or at Capri, where you can see the Villa Jovis, one of his 12 villas on the island. Why he’s wacky: Everyone loved Caligula when he became emperor, seeing him as the youthful, fresh face to follow Tiberius. But it became quickly apparent that Caligula was (oops!) also a delusional megalomaniac: He wandered the palace throughout the night instead of sleeping, flew into public rages, and spoke to the moon and to Jupiter as if they were in confidence. In the best-known story, he made his horse a senator, building it a stable of marble and inviting people to have dinner with the horse. Truth-o-meter: 8. Most of what we know about Caligula comes from Suetonius, who wrote 80 years after his death, or Cassius Dio, who wrote more than 100 years after that. 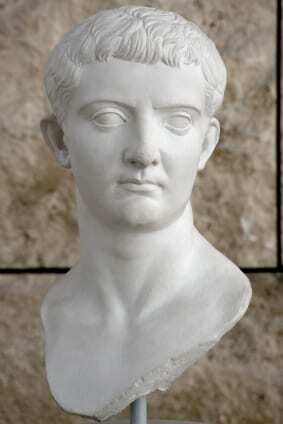 Still, almost every source about him, including contemporary ones, characterizes Caligula as insane. One main source is, again, Suetonius, whose description of Caligula makes it sound like he suffered from a psychotic illness — not too surprising, and something that would have been exacerbated by how everyone else around him had to participate in his delusions at pain of death! Where to find out more: Again, Suetonius’ Life of Caligula in the Lives of the Caesars is a good bet. There’s also Cassius Dio’s Roman History and the sixth book of Tacitus’ Annals. Caligula was also the force behind many public works, and the remains of one of the most important, the Claudian Aqueduct, can be seen near the Caelian and Palatine Hills in central Rome, or in the Parco degli Acquedotti. His other aqueduct, the Acqua Anio Novus, remains part of the Aurelian Wall. 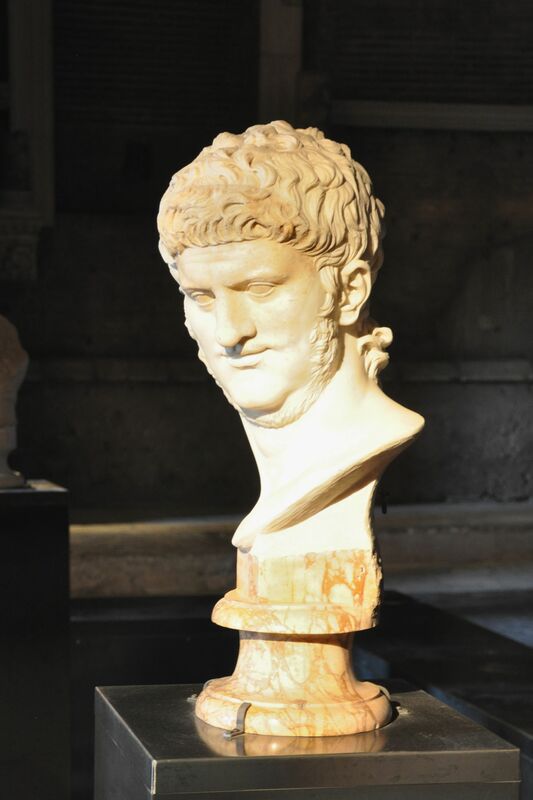 Why he’s wacky: Here’s a little background on how Nero treated his loved ones: He divorced his first wife, then had her beheaded and brought her head to Rome so his second wife could gloat over it. He kicked his second wife, Poppaea, to death when she was pregnant with their second child. When saw a young boy who looked like Poppaea, he married him, forced him to dress as a woman, and had him castrated. He also killed his own mother… and there were rumors their relationship had been much more than mother-son. Truth-o-meter: 6. The full accounts of his life were written by historians who lived after he died, including Suetonius, Tacitus and Cassius Dio. They were obviously biased against him. Plus, a lot of those accounts in turn contradict each other. Still, contemporaries make passing mention of how much people hated Nero, and the spirit, if not all the details, of his rule is probably correct. Where to find out more: Again, check out Suetonius and Tacitus. For a modern account that cuts through the myth and bias, check out Edward Champlin’s biography Nero. One of the most infamous structures that Nero left behind was his Domus Aurea, an enormous palace (some scholars say more than 300 acres!) in central Rome. Today, you can still see its ruins from afar — although, thanks to recent collapses, it’s closed to the public — on the Esquiline Hill. In Subiaco, an hour’s drive from Rome, you can see the remains of the villa he built to escape Rome’s summer heat. 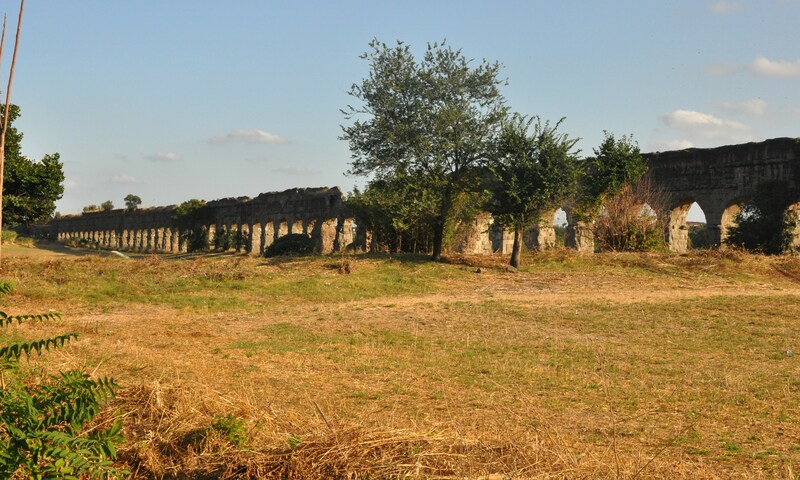 The ruins of the Villa Quintilli, a house Commodus liked so much, he killed the owners so he could have it! and give eyewitness accounts of what actually occurred under his rule, including the gladiatorial games. Where to find out more: Herodian’s History of the Empire from the Death of Marcus is pretty colorful, as is Dio Cassius’ Roman History. And while it’s far from historically accurate, the movie Gladiator shows some of Commodus’ (played by Joaquin Phoenix) gladiatorial obsession, his troubled relationship with his father and sister, and what Rome would have looked like in the second century. Few places are better for getting close to Commodus, or his spirit, than, of course, the Colosseum. On the Appian way, the still-standing Villa of the Quintilli, built by the Quintilli brothers in the second century, was so coveted by Commodus, he put the owners to death in 182 A.D. and took it for himself. Why he’s wacky: You probably haven’t heard of Emperor Elagabalus, but that’s a shame. Here’s why: Born in Syria, he became ruler at just 14. When he came to Rome as emperor, he brought with him his worship for the eastern god Elagabalus — building a new temple, making animal sacrifices to the god each morning, and ordering that the god take precedence before all Roman gods, even Jupiter. Nicknamed after the god, the emperor also had children tortured and sacrificed. And he was infamous for his sexual proclivities: He married a Vestal Virgin, slept with men, cross-dressed, and married a male slave. He even asked doctors to castrate him and give him female organs. Truth-o-meter: 9. One major account, the Life of Elagabalus, was written about 150 years after his reign and largely invented. But Cassius Dio and Herodian, who lived during his reign, also mention many of the juicy details, including the emperor’s sexual habits. And their accounts of how he changed Rome’s religion are backed up by archaeological findings. Where to find out more: Cassius Dio’s History of Rome (book 79) and Herodian’s’ and Herodian’s History (book 5) are great, and the Historia Augusta’s Life of Elagabalus, while less trustworthy, is full of juicy details. 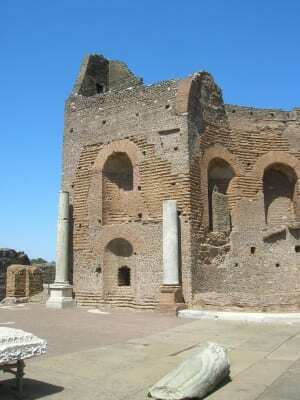 At Palatine Hill, you can still see the huge temple platform of the temple Elagabalus built to his god. 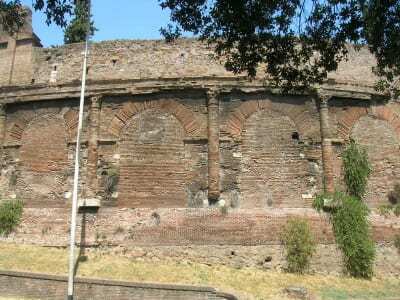 The Amphitheatre Castrense, located adjacent to the church of Santa Croce in Gerusalemme and incorporated into the Aurelian walls later in the 3rd century, is also thought to have been built by Elagabalus. So… what do you think? Which emperor would you least want to be friends with… or call your ruler? And do you think our assessments are fair? Let us know in the comments! 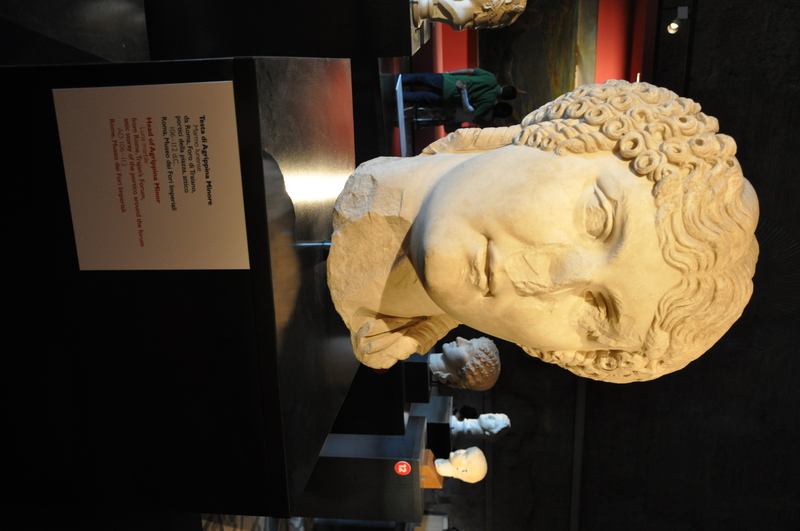 Headed to Rome, and want to know more about Rome’s wacky emperors? Check out our ancient Rome: “premium Colosseum” tour, including the Palatine, Colosseum and Forum! What Does Being “Beatified” Really Mean? thanks!!! i needed all that information.